mentioning your address and don't forget to enter your code for receiving 2 double CD sets for the price of one when ordering! Trios for Cello, Piano and Harmonium, Sonates for Piano and Harmonium, Sonatinas for Harmonium. Première recording on period instruments. 2-CD set coming out February 2019. Gallo Harmonium Reference Series. met vermelding van uw adres en uw code om 2 sets van de dubbel CD te ontvangen voor de prijs van 1! LRCD-1126-27 Experience how a Parisian would have heard the harmonium on a typical Sunday in the 19th Century. CD2 "Salon concert" featuring secular harmonium solomusic played by Joris Verdin on the historical Mustel instrument of Eastman School of Music, Rochester University. CD2 Works for female voices, harmonium, violin and harp. The ricercares published in separate voices are extremely well made for organ performance. The art of playing from voice-books has disappeared since centuries. This makes a transcription in "tabulatura" or "score" necessary. The result is contrapuntal structure reaching the "Art of Fugue" quality. Alexandre Guilmant: Marche Funèbre et Chant Séraphique, Fantaise pour l'orgue opus 17. Selection of preludes and verses. Joris Verdin demonstrates how to play Franck's music in an historical informed manner, both at the organ and the harmonium. In collaboration with Eric Lebrun, David-Noël Hudson a.o.. Performed at the Cavaillé-Coll organs of Rouen-St Ouen, San Sebastian-Santa Maria del Coro, Azkoitia Santa Maria. Implementation of metronome marks by Franck. Complete works for harmonium performed on period instruments. Performed at the Vleeshuis Museum, Antwerp. Harmonium Alexandre. New and old music at the historical organ of Torre de Juan Abad (Castilla-La Mancha, Spain) by Gaspard de la Redondo 1763. Works from Buxheimer Orgelbuch up to new music by Joris Verdin, including the Fantasia edited by Doblinger Wien (Novi Fiori Musicali). Guest performer: Annelies Focquaert, recorder and voice. With the Ex Tempore choir and orchestra conducted by Florian Heyerick. Organ solos (Friedhofskirche Wuppertal-D) and harmonium continuo. With Flemish Radio Choir conducted by Johan Duijck. Cavaillé-Coll organs of Caen (F), Heverlee-Leuven (B) and Loret Organ of Arequipa (Peru). 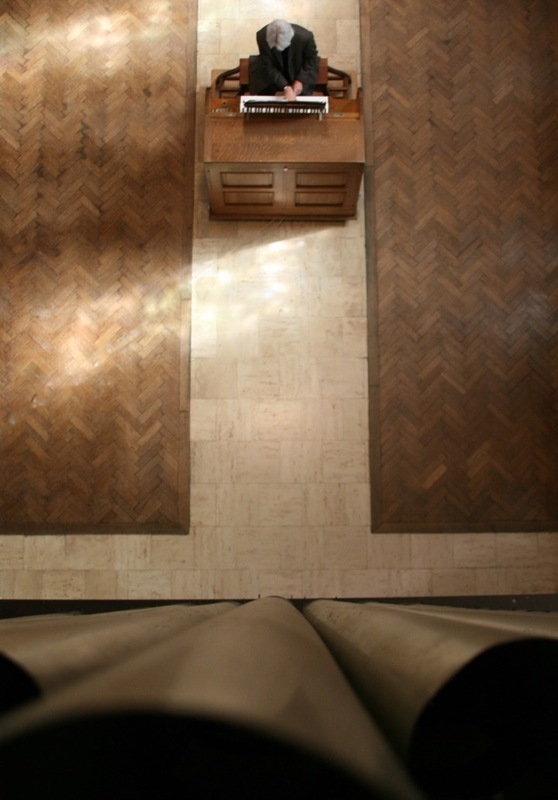 Original compositions by Kurt BIkkembergs, recorded 1994, at the Van Bever organ 1895, Chapel of Sint-Jan-Berchmanscollege, Brussels. Works by Bizet, Berlioz, Rosini, Lefébure-Wely, Boëllmann, Guilmant, Mouquet, Mustel, played on harmonium Debain 1860 and orgue-célesta 1927. Remastering of RIC 206252 MU/750. Remastering 2017 of "The Kunstharmonium"
Compilation CD from the series Flemish Organs, produced by the Flemish Community. Klara MMP 021, with "Vlaams Radio Koor", Flemish Radio Choir conducted by Vic Nees. 20 sacred vocal pieces with organ and harmonium accompaniment, played on the Cavaillé-Coll organ of Heverlee-Leuven and a Mustel harmonium of the same period. Joris Verdin plays works by Sigfrid KARG-ELERT on Harmonium Victor Mustel 1891 and Orgue-Célesta Mustel (Kunstharmonium) 1927. Flemish music by Cornet, Van de Kerckhoven and anonymous unedited manuscripts of the 18th C., with complementary Spanish parallels. Recorded 1988, previous restoration sound.